Taza Restaurant is the hotel’s latest addition to its array of restaurants. 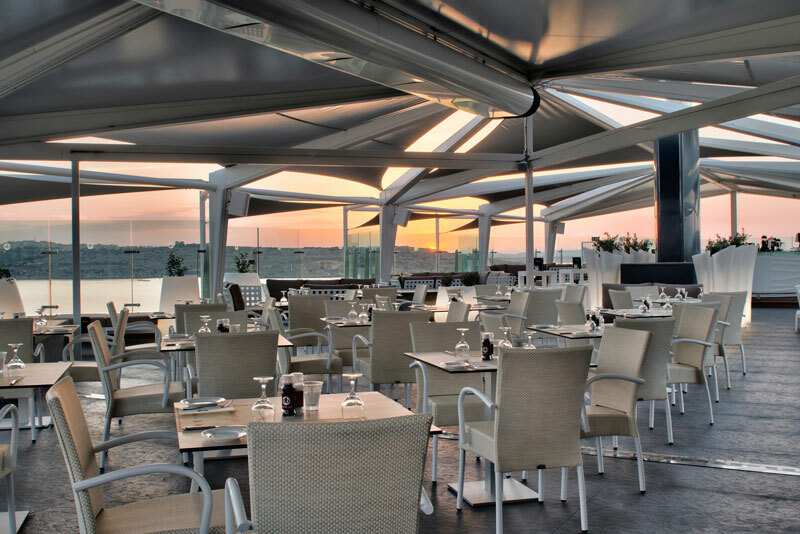 Located on the Roof Top with only 56 available seats, this is not a volume based restaurant, but a restaurant whereby our guests can enjoy a relaxing meal overlooking St. Paul’s Islands – fantastic during sunsets. This restaurant serves a Contemporary Mediterranean Cuisine inspired à la carte menu. Resident guests: All-Inclusive guests can dine here at a supplement of €10 per person. Non-resident guests: à la Carte. Parking is included on first time first served basis.